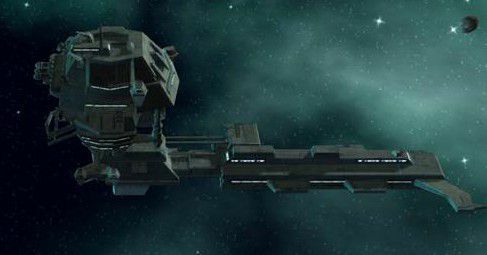 The Marauder is the Raza's shuttle; a "Phantom" class shuttle with two crew stations and four passenger seats in a single cabin interior. Space for cargo is available directly to the rear of the passengers, and entrance and egress to the craft is through this storage space. 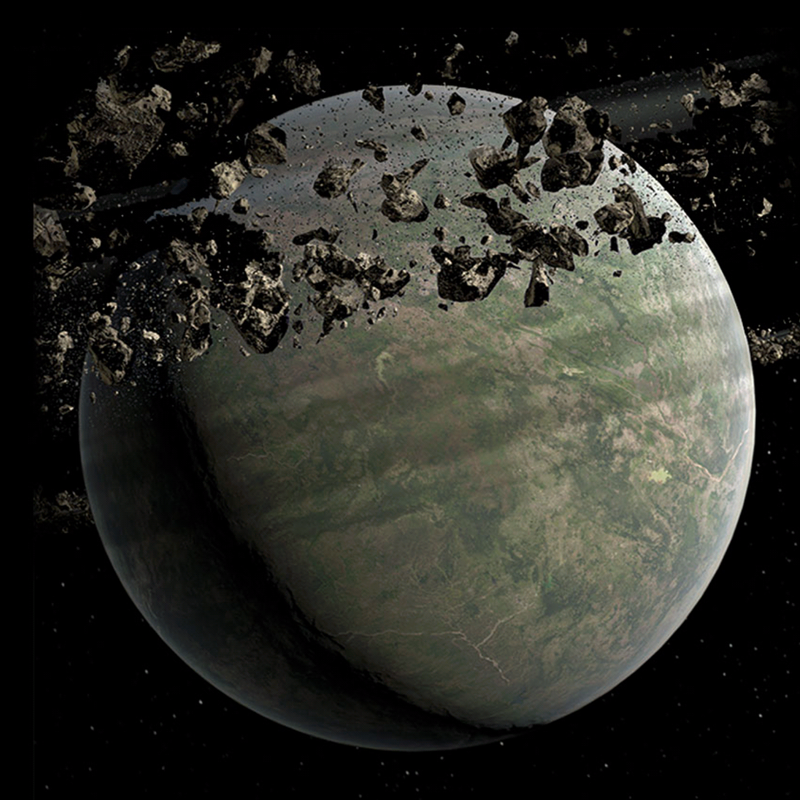 The Marauder is designed for both atmospheric flight, and travel in the airless vacuum of space. It is primarily used as transport for the crew of the Raza to reach a planet's surface from the Raza in high orbit. Despite his memory loss, Kal Varrik retains an intuitive grasp of the Marauder's controls and serves as its pilot. While the Marauder does not have weapons to defend itself, it is meant to be fast and stealthy, as well as an expensive elite craft, worthy of the skills of veteran light ship pilots. To represent this, the Marauder has been given the Active Countermeasure Package (based on the A-Wing Enemy Targeting Jammer) and the Sensor Interruption Stealth Package, loosely based on the A-Wng jammer but adapted to work against sensors to improve the Marauder's stealth capabilities. Since these were never specifically mentioned in the Dakr Matter series, if GMs would prefer, they can remove these and let the Marauder's stealth rely solely on the skills of the pilot. Not much to say. 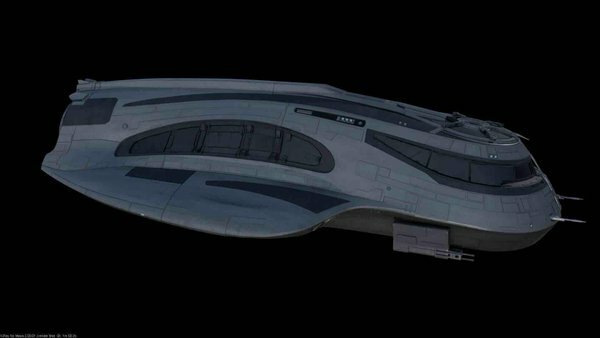 The Marauder was a simple, straightforward ship, having much in common with other scifi ships like the Destiny's shuttles from Stargate Universe, and the Puddlejumper craft from Stargate Atlantis (all three series, of which, had some related creators behind them). While the Marauder's speed is 8, if GMs think this is too slow, this can be upped to 9 or 10. Since Dark Matter never really showed any craft matching the higher speeds of A-Wings or TIE Interceptors, the Marauder's speed shouldn't need to go any higher than this, and a speed of 8 still makes it one of the fast ships in Dark Matter of its size, just as the Raza is one of the faster capital ships due to its design and modifications. [EDIT] While the Marauder to date has never fired a shot, in Season 1 episode 12 the team mentions using it for "precision strikes" on an enemy base, and in season 2 episode 5 the Marauder opens hatches on the side of its hull and extends retractable weapons of some kind. This has been added into the Marauder's write-up, and now the little ship, aside from being relatively fast and hard to hit, has some fighting power too. On top of this, it needs to be said that the concept art of the Marauder by Atmosphere Visual Effects also shows it capable of using these same side hatch locations as hard points for mounting various missiles on both sides of its hull. This picture shows 4 missiles per side (3 light, 1 heavy), 8 in total, and all looking like possible Capital scale damage. Since this was never shown in the series, GMs have the option of ignoring this, or allowing the Marauder to have ordnance hard points, or letting the Marauder be stock without these but modified to carry them, or having this be a variant of the Phantom class Marauder design. The Marauder itself does not have FTL capability. However, the Raza crew eventually encounter an alternate reality with versions of themselves that never lost their memories. This Raza crew modified their Marauder to have FTL capability (FTL Drive: x2). This alternate Marauder, having FTL, could also in turn add the Blink Drive to its FTL drive. [EDIT] In season 1 episode 12, the Raza crew mention using the Marauder for "precision strikes" on an enemy base. Later in season 2 episode 5 (S2E5) the Marauder is visibly show extending some kind of weapons from retractable hatches in the sides of its hull. So this write-up now has offensive weapons added for a little bite, but it's key features are still speed, maneuverability and its defensive packages. 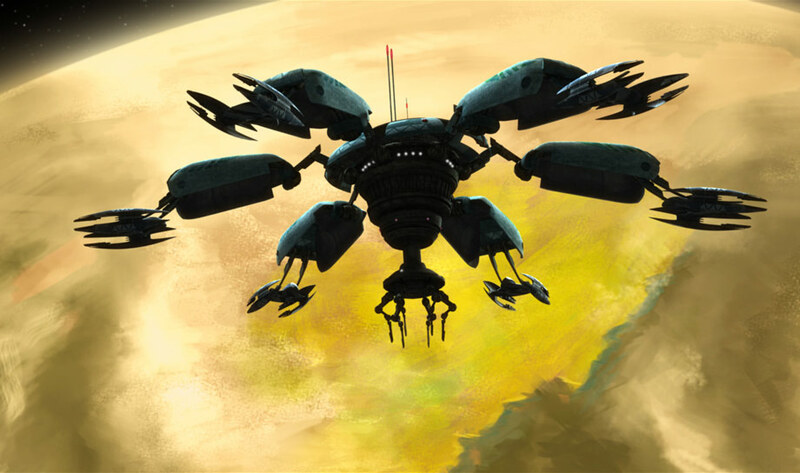 Furthermore, concept art of the Marauder from Atmosphere Visual Effects shows it having ordnance hard points for mounting missiles in these same locations, and the missiles look to be capital scale. [EDIT] And upon re-watching more episodes, I FINALLY see that the Marauder did use its weapons. Further, out of curiosity I re-watched the scene in S2E5 where it deploys its weapons, and it looks like 2 smaller guns deploy from retractable panels in the lower front sides of the hull. Sometimes these smaller guns appear, and sometimes not, even in the concept art. I thought they were antennas, but oh well. So now, the Marauder has some heavy and light guns, possible optional ordnance hard points (GM discretion on that one, still have not seen that in the series yet), and these have been added here for use.